It's September, kids have just started school, and winter is probably the last thing you're thinking about right now. That's exactly why right now is the time to schedule a fall furnace maintenance appointment. Before you know it, October cold snaps are going to arrive. If you wait until then to find out that your furnace won't turn on, is making strange noises, or is costing you way more to run than it should, you could be sitting in the cold while you wait for an available furnace technician during the beginning of the winter rush. Even though they're hidden away, furnaces might be the most complicated machine in your home. The heating elements, fueling system, blower fan, and air vents all see heavy use for hours each day from October through April. How many miles would your car have gone if you drove it for five hours every day for six months? Would you even think about not having auto maintenance done every 5,000 miles? Your furnace needs the same type of care. A preventive maintenance visit has three stages. First, we carefully inspect each and every component of your system to ensure that it is operating as it should. Even if your furnace seems like it's operating fine, there may be a small part that's out of alignment or wearing out that's placing stress on the rest of your system that could lead to an expensive breakdown. Second, we will clean your furnace. A dirty heating element can reduce your furnace's heating output, while a dirty blower fan can reduce the airflow. Both of these problems force your furnace to work longer to achieve the same results causing your fuel costs to needlessly increase. Finally, if we found any problems during the inspection, we will offer to correct them. We will provide a clear explanation of what is wrong, what could happen if the problem isn't fixed, and how much the repair will cost. While you don't have any obligation to accept any repair recommendations, doing so could save you the expense of an emergency service call when the problem eventually gets worse. Lower repair costs isn't the only benefit of scheduling routine furnace maintenance. Improving your furnace's efficiency with regular tuneups could shave hundreds of dollars off of your annual fuel costs. That's enough to take one more weekend trip during the winter or to buy a nice surprise for the family during the holidays. 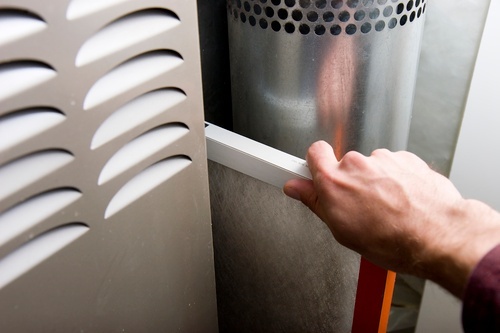 With smooth operation bringing less wear and tear, you can also expect your furnace to last much longer. This will keep your home improvement budget open for things on your wish list like a new kitchen or bathroom. We offer flexible appointment times, so you can schedule your preventive maintenance visit at your convenience. Call us today to schedule an appointment. We aim to save you money and ensure your home's systems are efficient! Subscribe to our blog below and receive our posts directly to your inbox.